From inception to completion, C3M Power Systems offers a complete range of construction management services to properly plan, start – and keep – projects on track. C3M is a wholly owned subsidiary of the $4 billion-per-year Clark Construction Group, LLC. Through this relationship, C3M is able to leverage the resources and capabilities of one of the largest general contractors in the country, bringing to projects an unmatched depth of technical expertise, strong financial backing, exceptionally trained personnel, and offices throughout the United States. C3M Power Systems, LLC, is a full-service electrical contractor with the experience and capabilities to construct, rehabilitate, and maintain electrical and special systems for railways, airports, highways and utilities nationwide. C3M’s skilled group of professionals bring to each project a depth of project experience and technical expertise that results in award-winning solutions and long-term reliability for even the most complex projects. Partnering from a project’s inception ensures a seamless transition from concept through the design phase to the project site, resulting in fewer construction-phase changes and scheduling impacts, and maximizing cost savings. C3M’s expertise planning, budgeting, technical problem-solving, and scheduling brings value to the preconstruction process, so that our collaboration with clients results in implementing the best possible construction solution in the field. With experience dating back to the Washington Metrorail System's first ever design/build rail transit project in the early 2000’s, C3M works with clients, general contractors, designers and maintenance staff to collaboratively develop innovative and cost-effective systems solutions that are sustainable over the long-term. Whether leading electrical and systems design and construction efforts or partnering with a design team, our electrical expertise, ability to maximize cost and schedule savings, innovative approach, and team-based best practices result in a seamless, unified project delivery. Fully staffed with skilled electricians, C3M has a proven track record of self-performing construction, rehabilitation, and maintenance of electrical systems for the transportation sector and other similarly complex markets. From large-scale electrical systems to the design and implementation of communications systems, C3M has the dexterity to complete critical electrical and systems construction components for projects of any scope, and has built its reputation on putting quality work in place nationwide. C3M is a trusted provider of critical electrical inspection and maintenance services. In many cases, we are selected by clients to maintain the systems we build. With a detailed maintenance plan developed to keep facilities and equipment in working order, C3M provides railways with the peace of mind that riders will benefit from reliable service and performance on a daily basis. Our unique experience caring for systems after they’re built informs how we guide the design process and build resulting in projects that are easier to maintain with a low total cost of ownership. 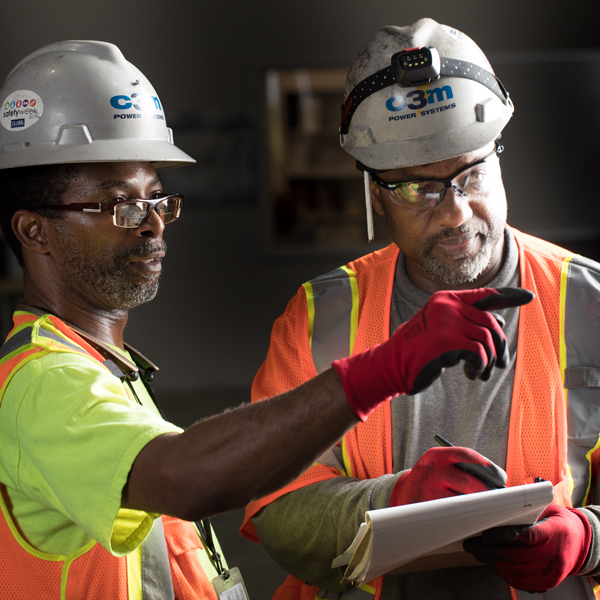 Led by a senior leadership group with more than 80 combined years of industry experience, and supported by a crew of the industry’s most skilled electricians, C3M is well-positioned to meet the needs of technically-challenging electrical construction projects across the country. Our leadership team has a shared mission and values: lead with integrity, execute brilliantly for our customers and foster the growth and success of our employees. Mark is responsible for C3M’s national operations, including the acquisition and execution of work. He has over 40 years of experience in the electrical construction industry, including the management and delivery of over $500M in complex rail and mass transit, aviation, water and government projects to public agencies. His experience includes work on some of the Washington, DC area’s most iconic projects, including FedEx Field, multiple projects for the Smithsonian Institution, and a substantial portion of the Washington Metrorail System. Chuck’s over 20 years of experience in the electrical construction industry includes managing and delivering nearly $400M in complex projects to public agencies. He specializes in design/build services, and has extensive expertise on government, rail and mass transit projects. He is a graduate of the Pennsylvania State University and is a registered Professional Engineer in Virginia, Maryland, and the District of Columbia. With over 20 years of experience, including over $250M in work, Chuck is a recognized industry leader in electrical construction. His expertise includes the installation of traction power, automatic train control, communications and other systems for urban railway passenger stations, maintenance facilities, and mainlines. He is a member of the International Brotherhood of Electrical Workers (IBEW) and is a licensed Master Electrician in more than 15 states. C3M’s commitment to safety is put into practice daily by every member of our team. This focus on safety begins with the training of our employees and identification of potential hazards before anyone steps onto a jobsite. In the field, every member of the team, from clients to designers to project officers to electricians, commits together to safe work practices that send every member of the team home safely at the end of each day. C3M is proud that our portfolio includes several recent projects with zero lost time safety incidents, including WMATA Orange and Blue Line Rehabilitation (over 100,000 man hours, WMATA Electrician Labor Services (over 100,000 man hours per year), and the Cincinnati, QLINE, and Oklahoma City Streetcar projects. C3M is truly Powered for Safety. 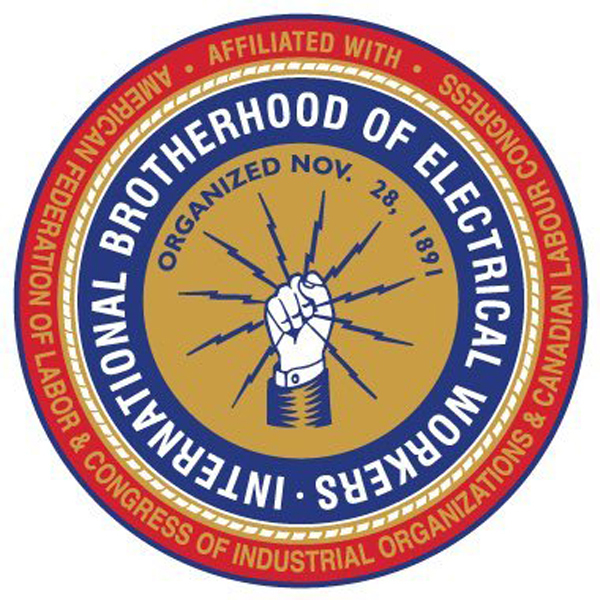 C3M is a proud partner of the International Brotherhood of Electrical Workers (IBEW), which enables us to staff our projects with the nation’s premier electricians. C3M also actively participates in Design-Build Institute of America (DBIA), Washington Building Congress (WBC), Washington Area Railway Engineering Society (W.A.R.E.S. ), and Institute of Electrical and Electronics Engineers (IEEE) . As a result, C3M has developed strong relationships with engineers, vendors and manufacturers nationwide, enabling us to implement cutting-edge design concepts using the latest products and equipment. In addition, C3M helps to enhance the electrical contracting industry by training and developing the next generation of electrical workers through our involvement with National Electrical Contractors Association (NECA) including NECA's Washington, DC Chapter and Joint Apprenticeship & Training Committee (JATC). C3M was founded in 2014 in Bethesda, Maryland by a team of seasoned electrical construction industry professionals. 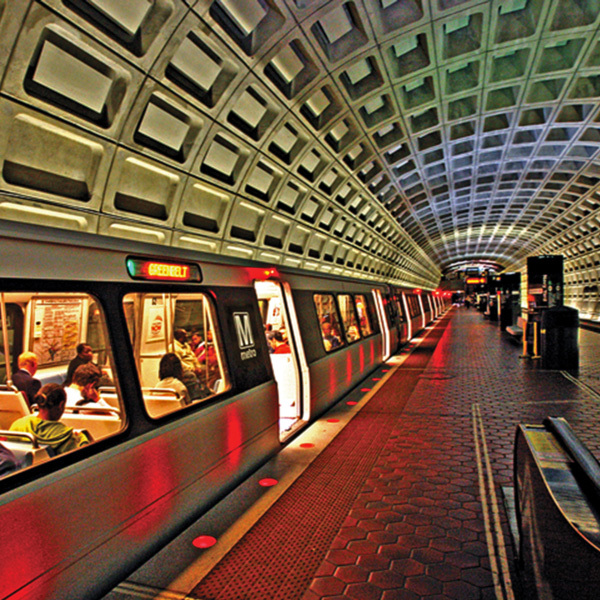 Our team’s experience dates back to the founding of the Washington Metrorail System in the 1970’s and includes signature projects such as Capital One Arena, U.S. Botanic Garden Conservatory, Washington Dulles International Airport’s Aero Train, and work for over a dozen transit agencies across the country. Building on this rich legacy, C3M continues to deliver challenging and diverse projects across the nation from complex rehabilitations of active rail and mass transit systems to iconic monuments, tunnels and streetcars throughout urban landscapes. Project Manager, Stacy and Witbeck, Inc.